The LoRa GPS Shield is a expension board of LoRa™/GPS for use with the Arduino. 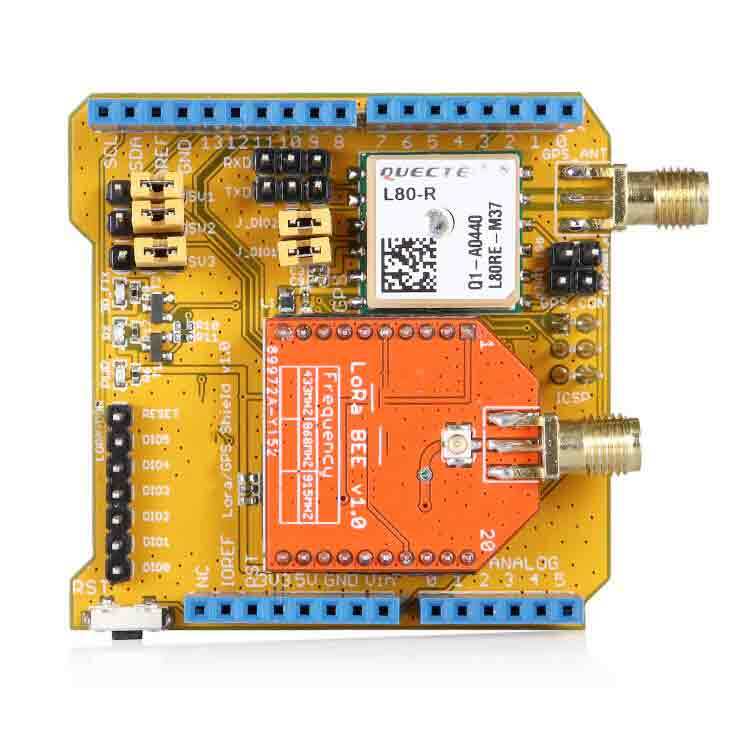 This product is intended for those interested in developing LoRa™/GPS solutions. In the LoRa part,the LoRa GPS Shield is based on the SX1276/SX1278 transceiver.The transceivers of the Shield feature the LoRa™ long range modem that provides ultra-long range spread spectrum communication and high interference immunity whilst minimising current consumption. LoRa™ also provides significant advantages in both blocking and selectivity over conventional modulation techniques, solving the traditional design compromise between range,interference immunity and energy consumption.